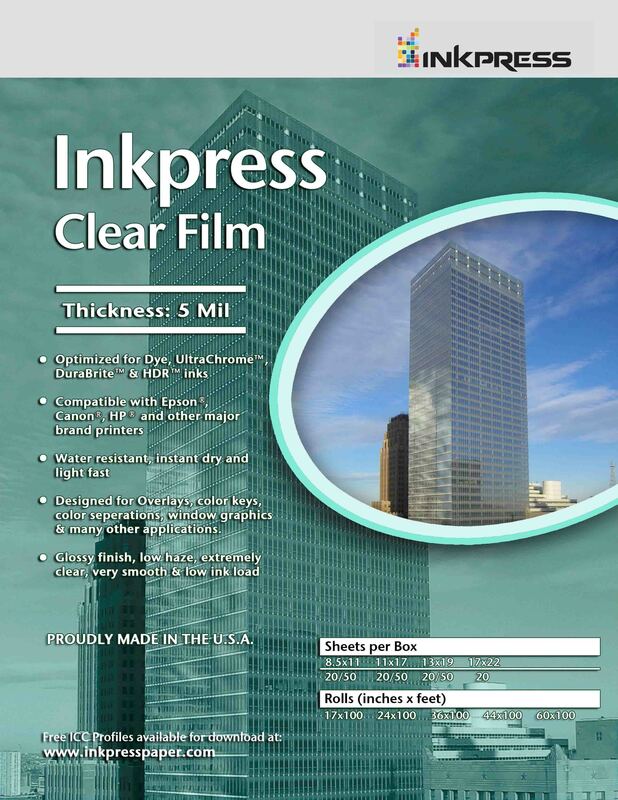 Inkpress Clear Film is an extremely clear 4 mil polyester film. The universal topcoat is designed to provide excellent print performance and still maintain the extreme clarity of the film. Clear Film is designed for overlays, color keys, window graphics, and other applications where optical clarity is important. Not to be confused with Transperency Film, which is designed for digital negatives and screen printing.